The Asanda Spa at JFK Airport in New York. 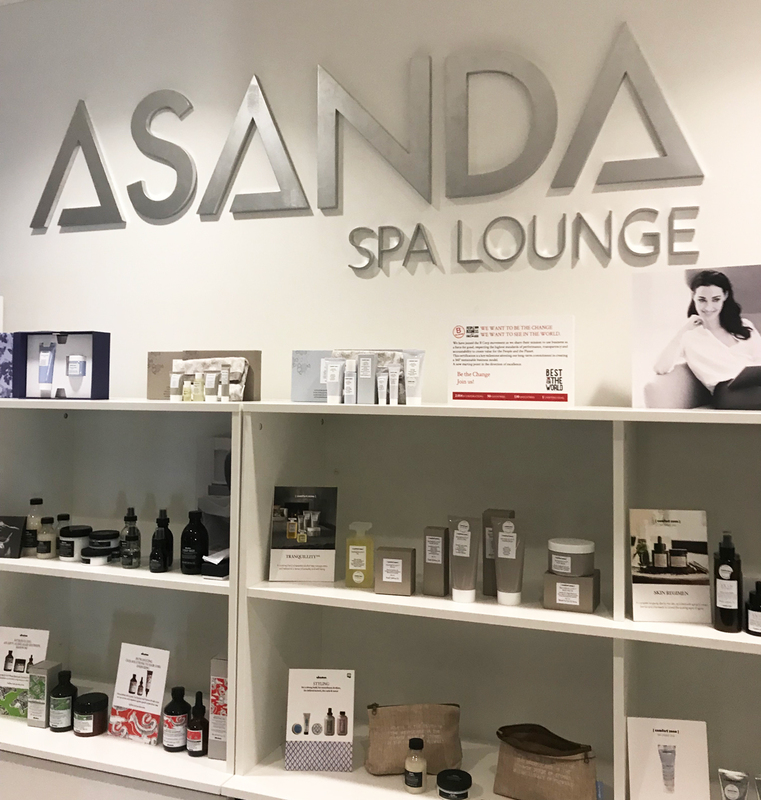 Atlanta’s Asanda spa opened in January. If a relaxed mind, refreshed skin, and calm muscles aren’t exactly the first things that spring to mind when you think of a visit to Hartsfield-Jackson Atlanta International Airport (just named the world’s busiest for the 20th year in a row), the new Asanda Spa Lounge in Delta Sky Club Terminal E might change the way you look at traveling out of ATL. The spa, which soft-launched quietly in January, offers a variety of treatments for travel-weary guests, ranging from a 10-minute foot and leg massage ($30) to a 45-minute facial using products customized to each guest’s unique skin care needs ($65). “We like to say ‘arrive at calm,’ creating an oasis that is really an arrival point.” says Asanda Spa managing director Gene Frisco, who is based in New York and has spent more than 20 years in the hospitality and spa industry. While the spa is diminutive, tucked into a 20-foot-wide space adjacent to the club’s shower facilities, it also features a full-service retail store stocked with skin care items from Comfort Zone and hair products from Davines, both from the same Parma, Italy-based company that produces products void of silicones, parabens, colorants, and animal derivatives. 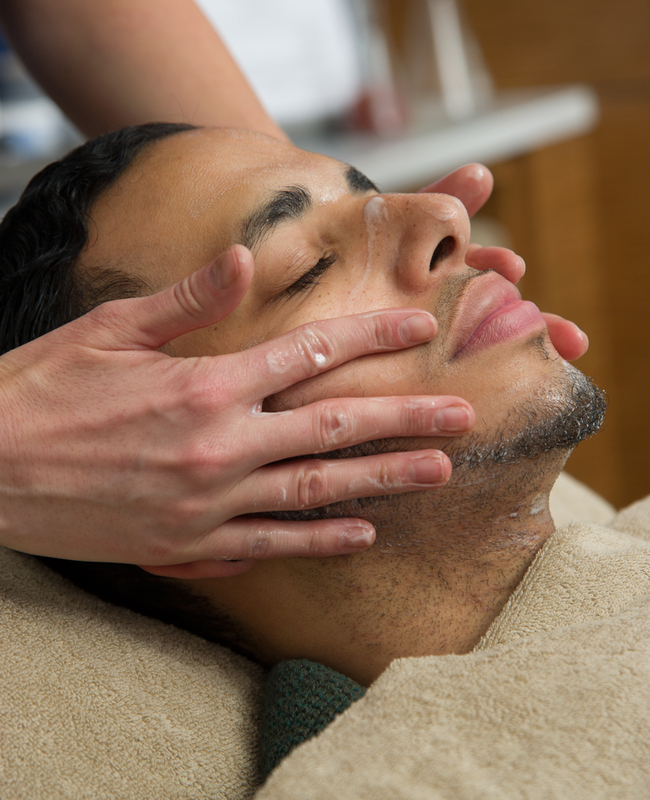 The Comfort Zone products are used to customize facials, which are administered in a private, full-service room by an esthetician. For travelers looking for a truly transporting experience—before they ever set foot on a plane—the Dream Weaver treatment (starting at $30 for 25 minutes), designed by alternative medicine doctor Deepak Chopra, packs a relaxation punch. 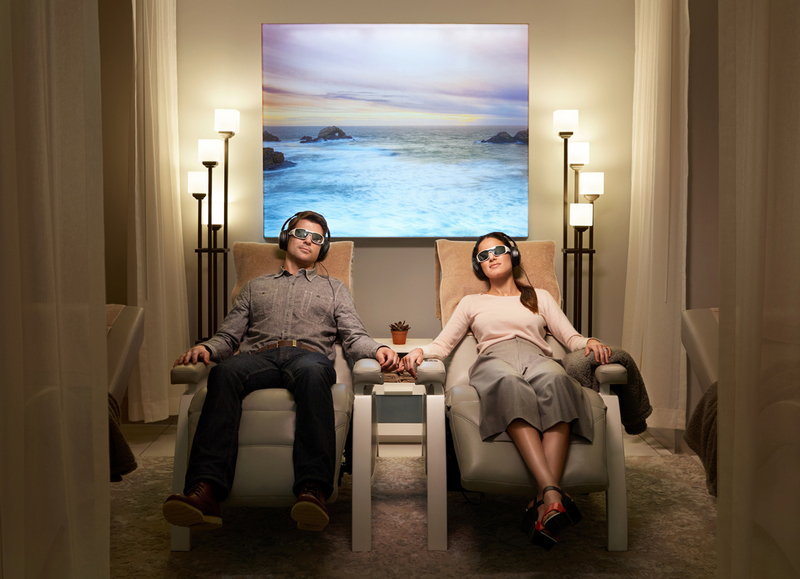 Clients sit in an supportive zero-gravity chair, wearing light glasses and noise-cancelling headphones, as the coordinated light and sound program takes them through guided meditation. 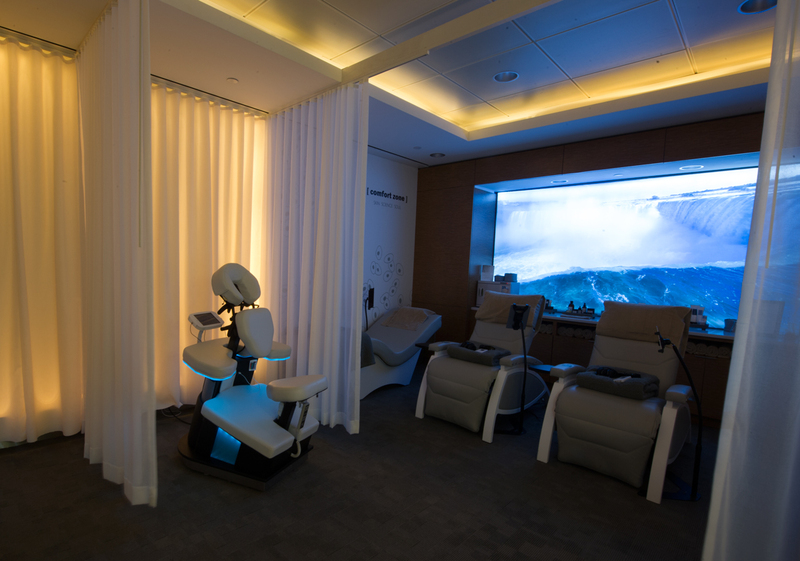 “If you think about the Delta brand, it’s fundamentally around transportation, but it’s a really high-tech company,” Frisco says, noting that clients can feel rejuvenated largely without “trying” to meditate. So how can you take advantage of these luxe accommodations? First, you’ll need to gain access to the Delta Sky Club in Terminal E, then you can either check availability on the spot at the Asanda Spa Lounge or make an appointment online in advance. The spa is open daily from 6 a.m. to midnight. And one huge perk if you happen to be a Delta Diamond Medallion member—you can receive complimentary select services through July 31.